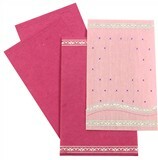 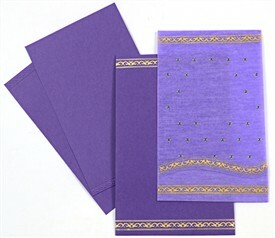 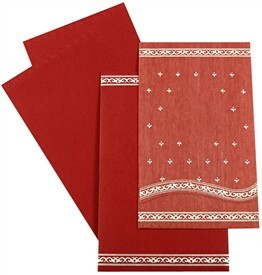 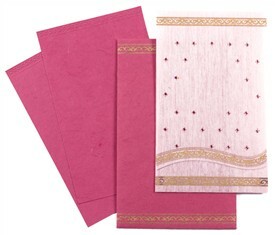 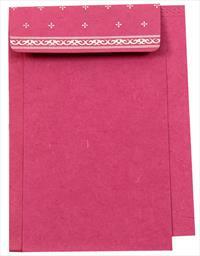 D-1466, Pink Color, Light Weight Cards, Designer Multifaith Invitations, Card with Rhinestones, Birthday Invitations. This beautiful ornamental Jacket form card with a pocket at bottom to hold the 2 inserts is a good example of creativity in modern style. 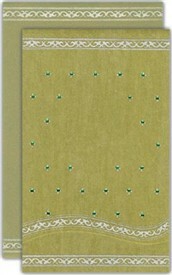 The jacket has borders and small motifs printed in silver decorated with colored jewels. 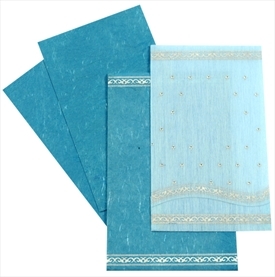 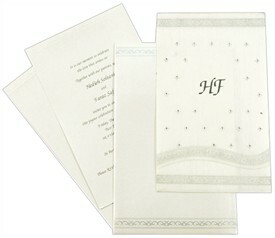 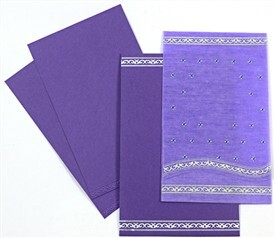 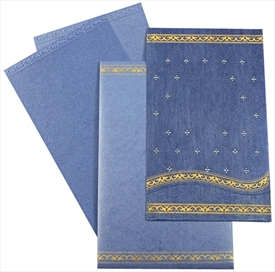 Inserts have self embossed border while the mailing envelope has printed border in silver matching with main card.